Home - O'Day Custom Construction, Inc.
Trust is our most important building material. 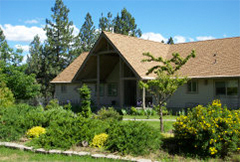 O’Day Custom Construction has been satisfying discriminating customers in Coeur d’Alene for over twenty years, with unsurpassed precision workmanship, finishing on time and on budget. Click at left to find out about a personally designed new home or commercial building, just the right addition, rennovation, remodel, repair, deck, porch or entry, or a lasting solution for that “impossible” slope, waterfront, or moving ground. Whatever your building need, we do it right.